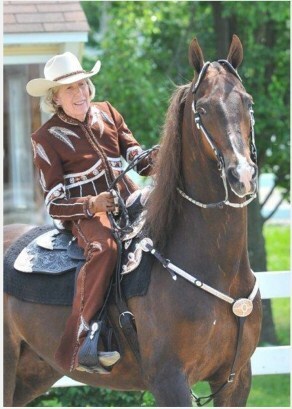 North Wind Stables is dedicated to making your horseback riding experience satisfying, challenging, fun and safe. 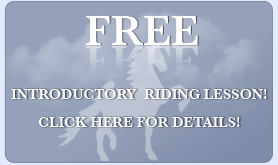 North Wind will tailor the right program for you as a beginner just starting out, or an experienced rider seeking the highest levels of competition. All North Wind Stables Riding Academy instruction is individualized and focuses on building strong teams: rider, horse and trainer. Whether you are riding one of North Wind’s well-trained, safe, lesson horses or your own performance or equitation horse, teamwork is our number one goal. North Wind Stables teaches the fundamentals of good horseback riding that lead to success in the show ring or safety on a trail ride. The skills you learn will open the door to fully enjoying all of your equestrian activities wherever they may take you. 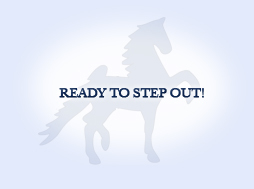 Click on the button to the right "Ready To Step Out" to get a preview of what options you may have in the future in North Wind's Adult Riding Program. Come share your love of horses with the North Wind Stables family!